More than a decade ago, Steven Soderbergh assembled an enviable lineup of Hollywood A-listers for Ocean’s Eleven, a rip-roaring and damn entertaining crime caper that went on to inspire two sequels of (arguably) diminishing returns. 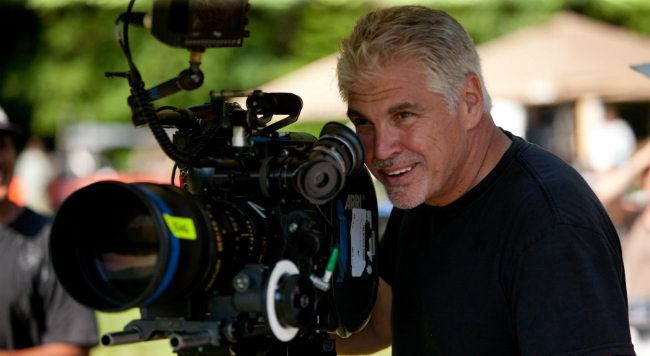 Fast forward to 2016 and, with the project currently simmering in pre-production, The Hunger Games director Gary Ross has been tasked with capturing lightning in a bottle once again – and truth be told, he’s doing pretty well so far. Since first enlisting Sandra Bullock as the de facto lead, the director’s high-profile re-do has cast Thor: Ragnarok star Cate Blanchett, Helena Bonham Carter, Mindy Kaling and, more recently, Elizabeth Banks of Pitch Perfect fame. It makes for quite the ensemble already, and in anticipation of Free State of Jones marching into theaters later this year, Ross sat down to discuss his pitch for the all-female Ocean’s Eleven, including how he views it as a continuation of Soderbergh’s stylish original trilogy. I think it’s a pretty similar tone. You know, Steven Soderbergh and I are incredibly close friends, and we would not have done this if we weren’t. I don’t think he would’ve wanted anyone to do it if we weren’t. This is very much an extension and a continuation. He’s a producer on the movie. In one way or another, this has been a 20-year conversation between Steven and I, collaborating in ways the whole world doesn’t know about: I helped him on the previous Ocean’s Eleven films; he shot second unit on The Hunger Games; I’ve done ADR lines for him; and he reads all my scripts. It’s a very long, ongoing collaboration. This, I think, is a very seamless process. We’re different filmmakers, obviously, so there will be those differences, but one of the things I’m drawn to is the amazing tone Steven was able to create, and we discuss that a lot. We discuss the cinema a lot, the shooting style, the rhythm, the editing style, and the music. We discuss it all. I’m in no way trying to reinvent the tone, and I’m thrilled and honored to be extending it. It’s really fun to work with. Still in the early stages of pre-production and bearing the codename Ocean’s Ocho, Gary Ross’ reimagining of Ocean’s Eleven still has a ways to go before stepping before the cameras at Warner Bros. Free State of Jones, meanwhile, hits theaters on June 24.